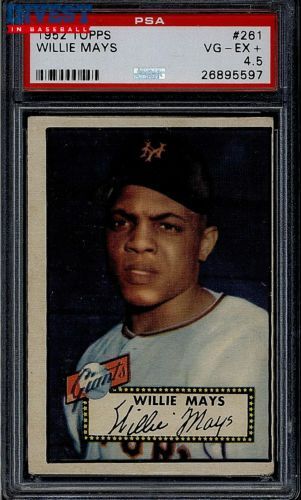 Invest In Baseball's current auction offers an unheard of number of 1952 Topps Baseball cards being auctioned off simultaneously. We are talking about three complete set breaks, giving collectors an unprecedented opportunity to acquire some of the hardest to find rarities and complete their '52 sets. 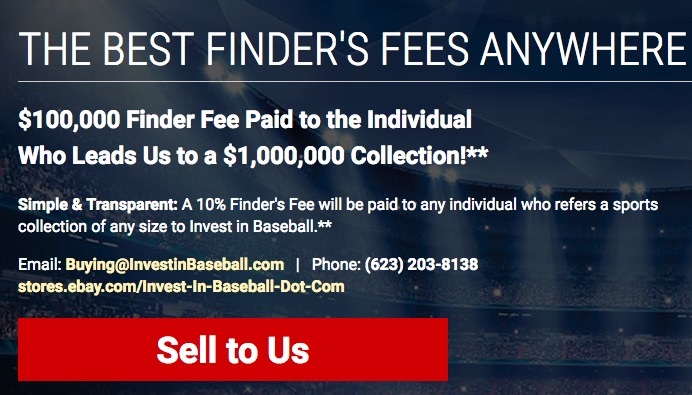 Additionally, Invest In Baseball is continuing with their finders fee promotion which gives anyone a chance to earn up to $100,000 in commissions for collections referred to and purchased by Invest In Baseball. The auction starts off with a 1952 Topps Master set. Containing a combination of raw and PSA-graded options (as high as NM-MT), this set break will help you complete your own set in a single auction. Each red back and black back variation from #1 to #80 is represented, along with both Sain and Page "Black Bio" variations, the Frank Campos "Black Star on Back" variation, and also the Frank House "Yellow Tiger" variation. Of course, nearly every big name from the '50s and '60s is also included in this auction that begins closing on Sunday, February 26, 2017. 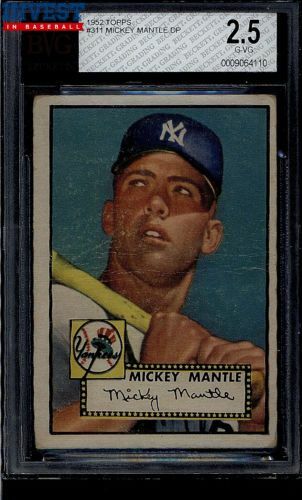 Starting off with the 1952 Topps Mickey Mantle, there are three graded cards for the legend, including a BVG 2.5, SGC 30, and PSA 1. 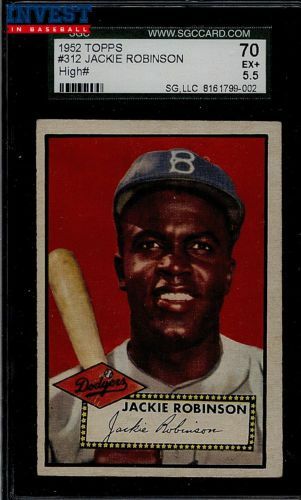 This also means three cards for Eddie Mathews, Willie Mays, Jackie Robinson, and, that's right, three copies of every high number from the 1952 Topps set! 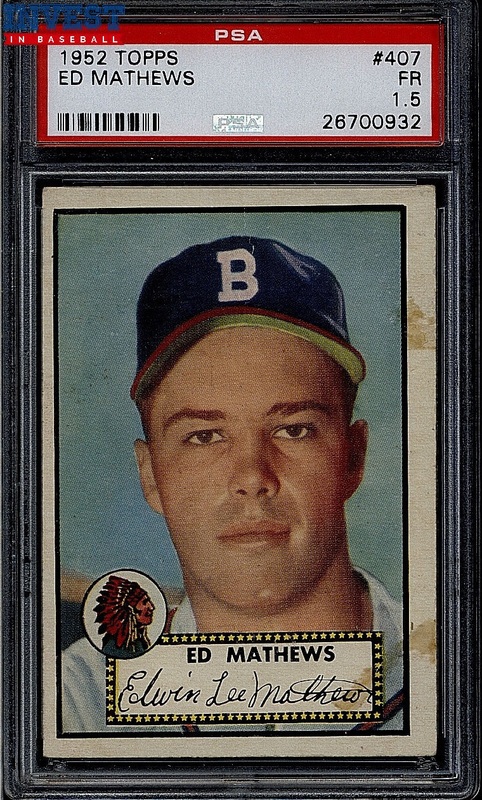 Other top 1952 cards in this auction include Ted Williams, Brooks Robinson, Frank Robinson, Duke Snider, Gil Hodges, Bob Feller, and Pee Wee Reese. Basically, you name it, they have it (x3)! 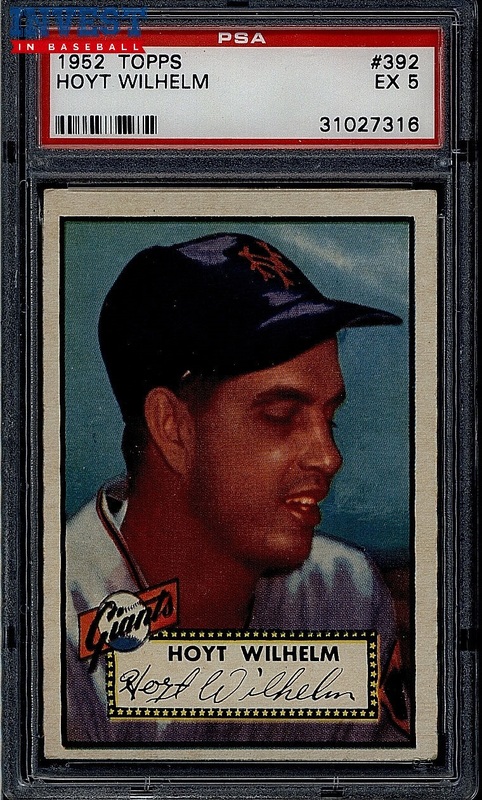 Shop all 1952 Topps Set Break Cards from Invest in Baseball. There are multiple options for each player. Click below to track specific results or to make your bid on eBay. Click below to track specific results or to make your bid on eBay. Remember there is no 30-minute rule on these auctions, so every item ends at the exact time stated with no extended bidding. Make sure to get your bids in early so you don't miss out. Bid and buy with confidence as Invest in Baseball has nearly 80,000 positive feedback ratings in the last 12 months alone. View all available auctions from Invest in Baseball. 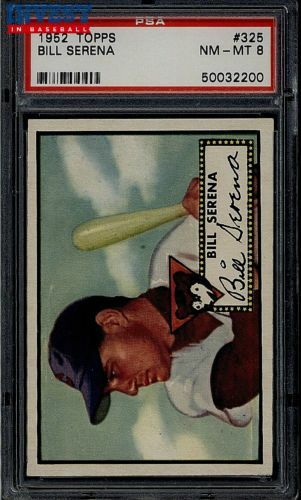 I have two 1952 wrong back cards that PSA just returned to me. One is a Sheldon Jones with a Vernon law back and the second is a Monte Kennedy with a Dale Coogan back. In their population report, they’ve only graded three wrong backs ever, and I have two of them. Are these good auction items?